A true-life Catch-22 set in the deeply dysfunctional countries of Afghanistan and Pakistan, by one of the region’s longest-serving correspondents. Kim Barker is not your typical, impassive foreign correspondent—she is candid, self-deprecating, laugh-out-loud funny. At first an awkward newbie in Afghanistan, she grows into a wisecracking, seasoned reporter with grave concerns about our ability to win hearts and minds in the region. 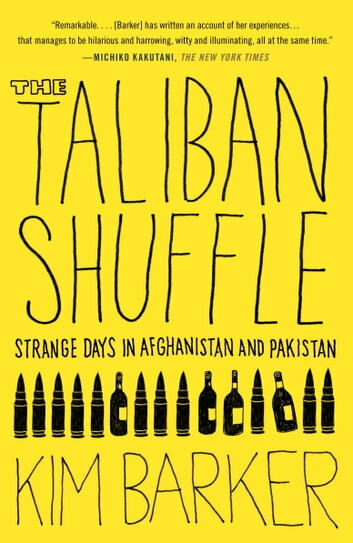 In The Taliban Shuffle, Barker offers an insider’s account of the “forgotten war” in Afghanistan and Pakistan, chronicling the years after America’s initial routing of the Taliban, when we failed to finish the job. 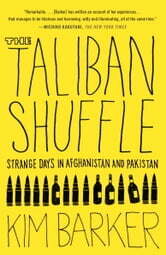 Swift, funny, and wholly original, The Taliban Shuffle unforgettably captures the absurdities and tragedies of life in a war zone.